IBL Impresses the Crowd at EmTech 2019! Infinity Blockchain Labs (IBL) was honored to be the only business from Vietnam to attend EmTech Asia 2019 as a Strategic Partner on January 22nd and 23rd at the Marina Sands Expo and Convention Centre in Singapore. 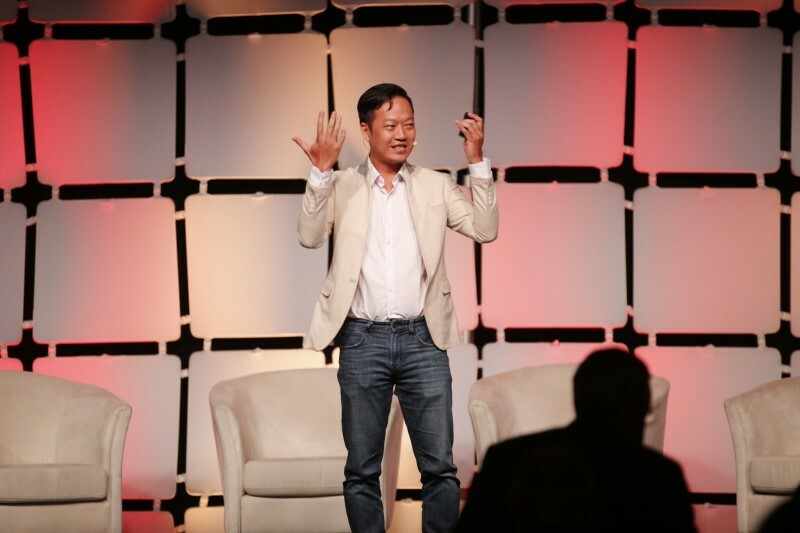 EmTech brought together leaders in technological innovation from a wide variety of key sectors to share their breakthroughs and visions of the future. Along with our other bright talents, IBL was represented by our CEO Junya Yamamoto who was interviewed by organizers of EmTech, and our Head of Corporate Marketing, Cong (Mark) Tran, who delivered a presentation about the future of blockchain along with IBL’s role as a pioneer in a variety of blockchain applications across the globe. IBL’s A-listers discuss blockchain and the future! IBL’s Mark Tran gave a well-received speech about potential blockchain applications in the future in Vietnam and worldwide. Mark explained that blockchain is being applied to create solutions for everyday-life and is also open to big enterprises, startups, and SMEs. In order for Vietnam to keep pace, businesses need to quickly adapt themselves to take advantage of this potential market. 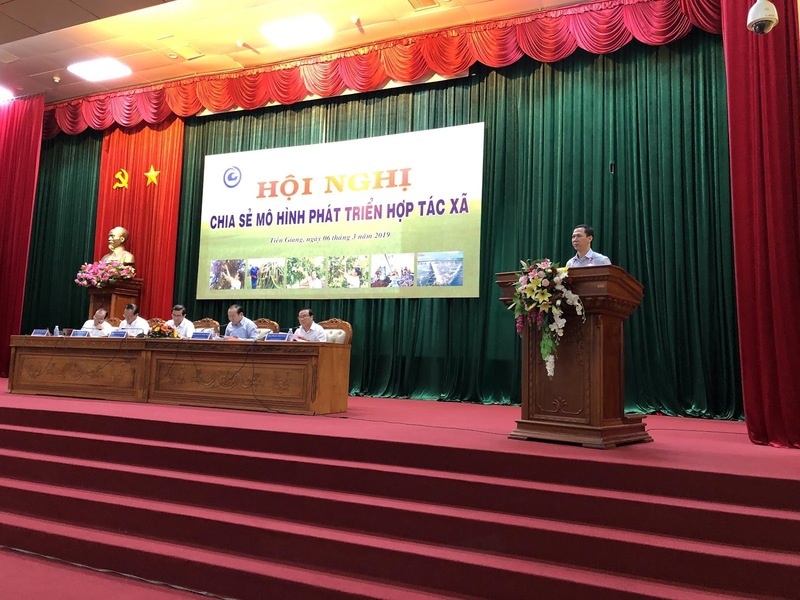 Mark explained that IBL can help Vietnam keep pace as a buisness based in Vietnam creating remarkable achievements and successful innovative projects since its inception in 2015. Mark went on to discuss two outstanding products that IBL is focusing on, Fruitchain and Infinito Services. Built on the Ehereum blockchain platform, Fruitchain is an agricultural traceability application aimed at addressing the transparency of agricultural product information in Vietnam. IBL lends its technical expertise to the Infinito, a leading platform for providing blockchain solutions for businesses and end users. Infinito Wallet, one of Infinito’s products, was honored as a world’s leading universal wallet solution for storage, security, asset retrieval, and blockchain applications. In addition, Mark discussed the other incredible projects that IBL is currently partnered with in providing technical solutions. Mark showed IBL’s technical services helping to fuel Blockpass, the Identity verification application, GINAR’s dRNG (decentralized random number generator), and ZEYAP, the comprehensive payment solution. 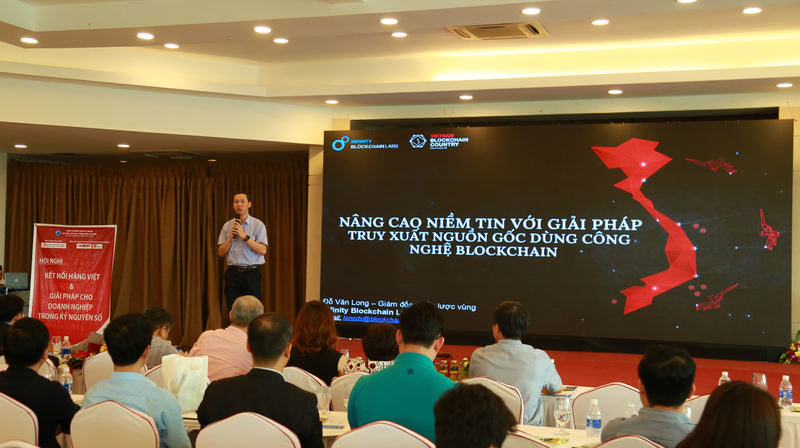 Mark emphasized that, with high speed of development, blockchain is expected to stir up the Vietnamese technology market in 2019. Vietnam will become a global blockchain hub in the near future. Also in attendance was IBL’s CEO, Junya Yamamoto, who networked with severa potential partners and conducted interviews. While at the event, Mr. Yamamoto explained that “In the coming times, IBL will focus on business development strategy with advanced applicable blockchain solutions, and provide consulting and support services for businesses that want to deploy blockchain technology into reality. Asia is becoming a competitive hotspot in blockchain technology applications. Further strengthening research and development, technical infrastructure and quality human resources will help improve the competitive advantage for businesses in this blockchain wave. EmTech was a massive success that exceeded expectations for both the event creators, the MIT Technology Review, and IBL in receiving extensive admiration by the attendees for its blockchain applications and visions for the future. Now that EmTech is over, we are thrilled that our team was able to attend and we are looking forward to next year! EmTech is where technology, business, and culture converge. 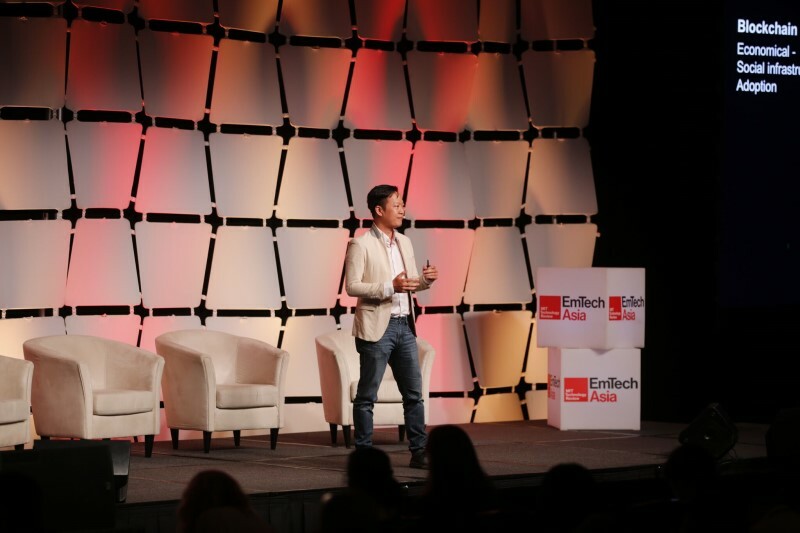 At EmTech Asia, those in attendance met the innovators, scientists, investors and tech executives at the heart of the next technology revolution. Throughout two exhilarating days of networking and learning, the 1,000 participants heard from a list of key speakers and the inspiring top ten innovators under 35. EmTech Asia believes that innovation happens at the intersection of different disciplines. The event brings together the brightest minds in artificial intelligence, material sciences, biomedicine, immersive media, space, and more from around the world to share breakthrough research and discoveries. Every year the event connects the best from academia and industry to collaborate. EmTech Asia creates a platform for scientists with the capability to change the world to meet investors to commercialize ideas and tech executives to distribute those ideas globally. EmTech 2019 is co-organized by the MIT Technology Review, the world’s oldest and most respected technology publication since 1899, and Koelnmesse, one of the world’s largest trade fair companies since 1924. The MIT Technology Review is an innovative, digitally oriented global media company whose reach is rapidly expanding. The mission of MIT Technology Review is to bring about better-informed and more conscious decisions about technology through authoritative, influential, and trustworthy journalism. Founded at the Massachusetts Institute of Technology in 1899, MIT Technology Review derives its authority from the world’s foremost technology institution and from our editors’ deep technical knowledge, capacity to see technologies in their broadest context, and unequaled access to leading innovators and researchers. Accuracy and independence are our highest priorities: our coverage is independent of any influence, including our ownership by MIT. Infinity Blockchain Labs (IBL) is a visionary R&D company committed to advancing society with next-generation solutions. IBL receives global recognition through its renowned initiatives and influential partnerships while leading the blockchain ecosystem in its home, Vietnam. IBL’s mission is to be the R&D engine that transforms future technology into practical applications for business and everyday life. In fulfilling this mission, IBL turns the complexities of blockchain technology into practical solutions through a comprehensive range of IT consultancies, the creation and integration of Apps, and an unyielding commitment to the research and development of cutting-edge blockchain innovations, Named one of the top ten blockchain technology solution providers in 2018 by APAC CIO Outlook, the 200+ employees at IBL aspire to empower Vietnam and all of humanity with powerful blockchain innovations to power the future. 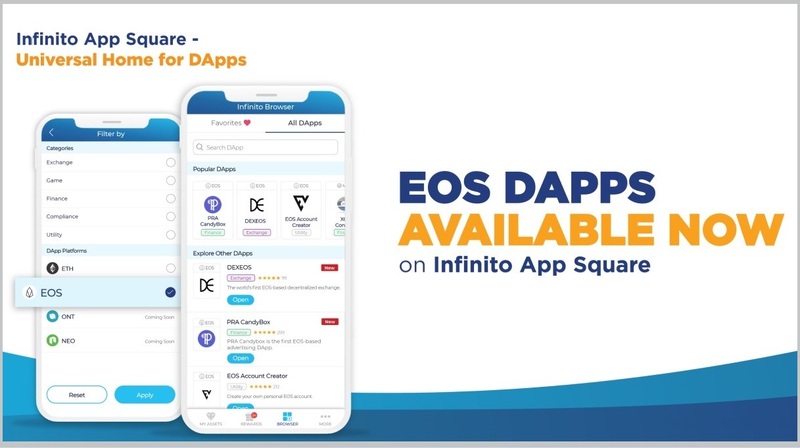 EOS DApps Have Arrived on Infinito Wallet’s App Square!